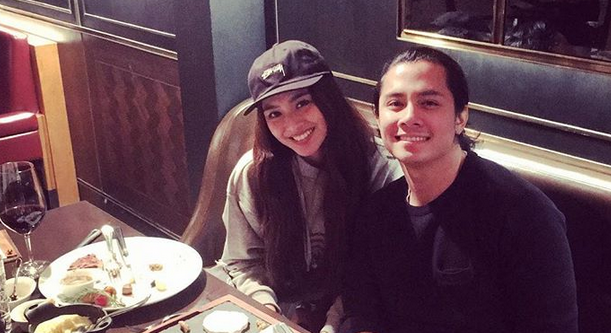 Nadine Lustre and JC Santos were spotted having a dinner date last Friday. The two, who became close after working together in ABS-CBN's TV series 'Till I Met You', shared the photos of their bonding moment on their respective instagram accounts. Nadine's boyfriend, James Reid, who also starred in the said TV series, was absent.But, 'Till I Met You' fans were still happy to see the two reunited. Nadine is currently one of the hosts of ABS-CBN's noontime show 'It's Showtime'. JC, on the other hand, has a new movie with Bela Padilla titled '100 Tula Para Kay Stella' which is slated to open on August 16 in cinemas.